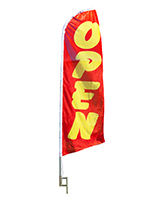 This Open Message Flag is Ideal for Businesses. 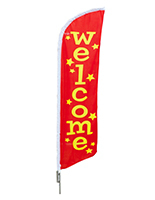 This Display is Sold at a Wholesale Price from this Trusted Online Source. 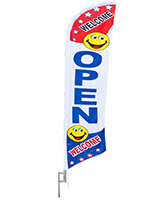 This Open Message Flag is In Stock Now! 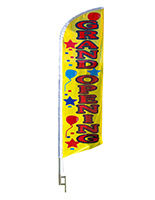 This feather open message flag, also known as swooper banner, is printed on a poly knit fabric that is for outdoor use. 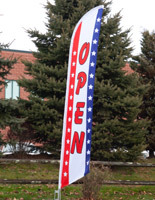 This low cost business marketing device is the idealistic outdoor banner! 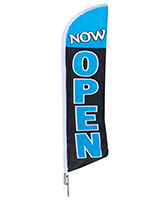 This feather swooper, open message flag that sets up with a ground spike base can be reused and relocated as needed! 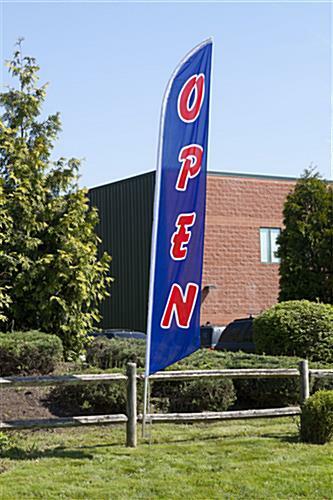 This signage uses an aluminum pole which is a fraction of the price of fiberglass! 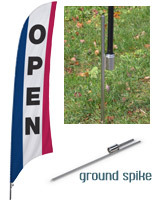 This open message flag that consists of a 4 piece aluminum pole is pre shaped whereas fiberglass pole bow freely with the wind. 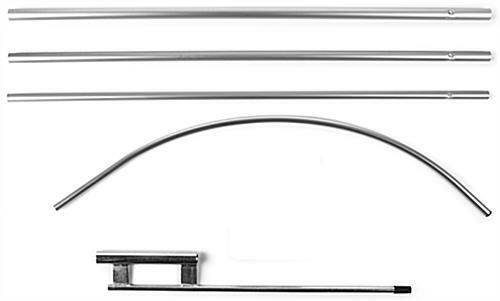 This kit does not include a nylon carrying bag that the "deluxe" models have. 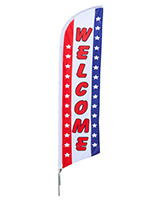 This open message flag is sure to draw attention similar to sale banners!